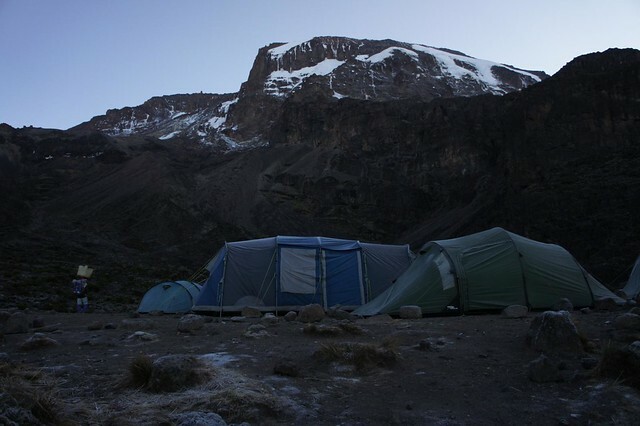 There is no doubt Kilimanjaro is a popular mountain, rare is the moment you have to yourself. Campsites are vast sprawling affairs and as you lay in your tent the murmur of voices coming from every language around is strangely soothing if not quite the mountain wilderness many of us crave. 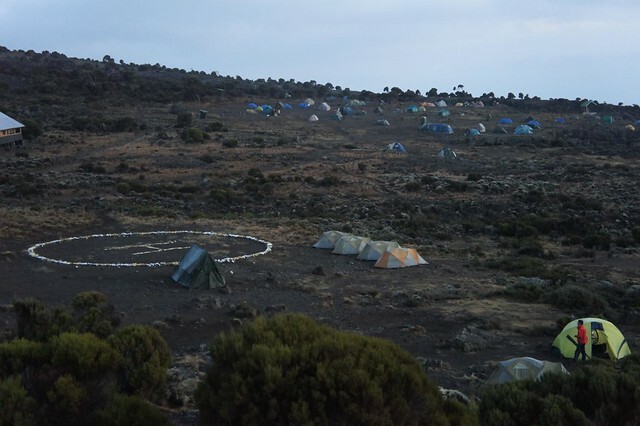 On most routes (baring Marangu) you will sleep in a modern well-sized dome tent, typically 2 people sharing a three / four person tent. 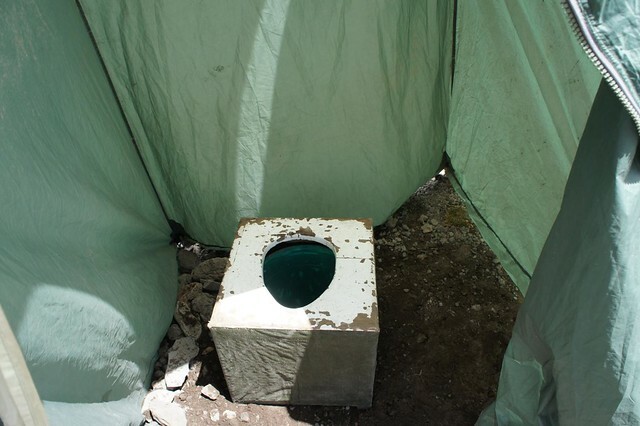 In addition your group will have a toilet tent with a simple thunderbox toilet and a mess tent where meals are served. 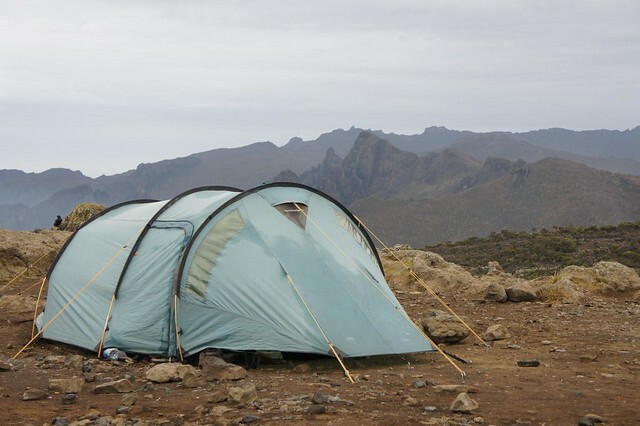 Sleeping mats are provided in the tents and dinners are served on a camping table with camping chairs provided for each trekker. 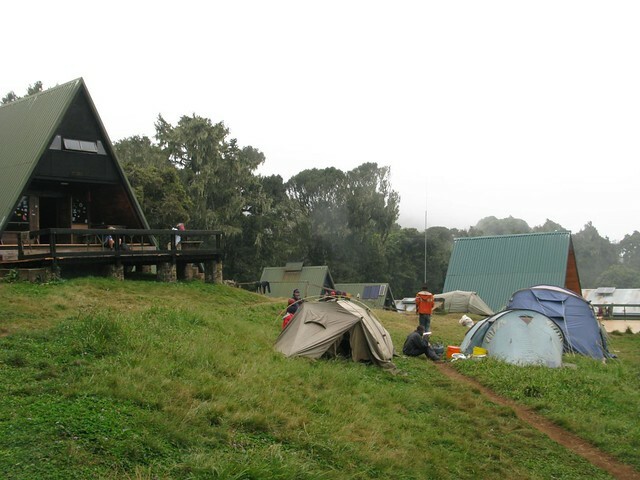 Marangu is the only route on the mountain to offer the comforts of sleeping huts and comfortable beds. The huts are communal and each bunk has a sponge mattress and pillow. 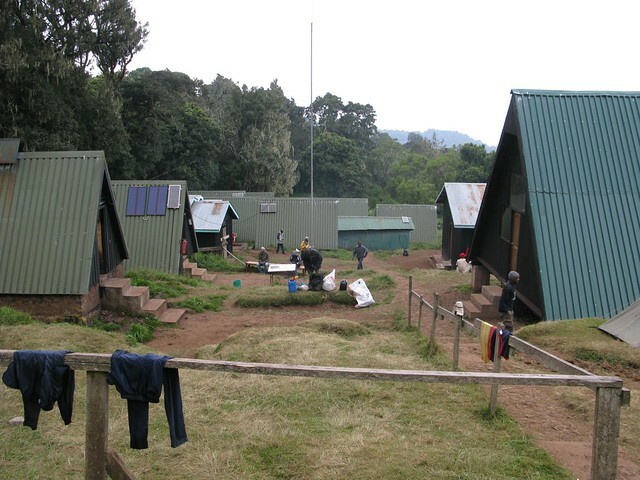 There are 60 beds at Mandara and Kibo Huts and 120 beds at Horombo Hut. 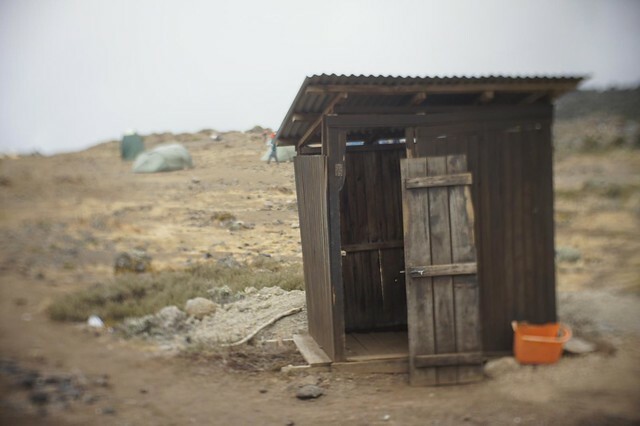 Bathrooms and running water are available at the two lower huts, whilst the two higher huts have basic latrines.